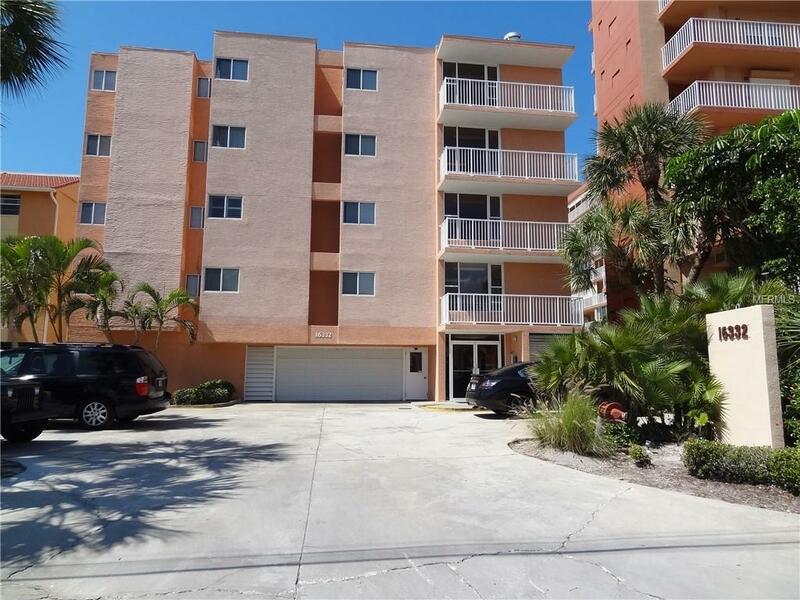 Stunning Redington Beach Florida direct Gulf Front condo. 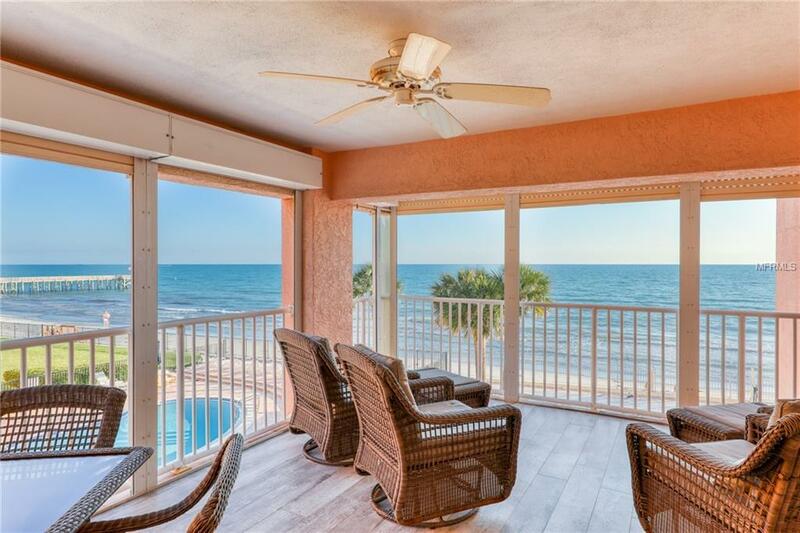 Only 12 condos in this building and yours is totally remodeled with beautiful views of the Gulf of Mexico. Kitchen boasts custom wood, soft close cabinetry, granite counter tops, stainless steel appliances. Beautifully remodeled baths with granite top vanities. Ceramic board tile throughout the condo and tastefully decorated too. Windows and sliding doors replaced with Simonton impact turtle glass. New HVAC system 2015, water heater 2017, new roof 4/2016 & pool redone 6/2018. 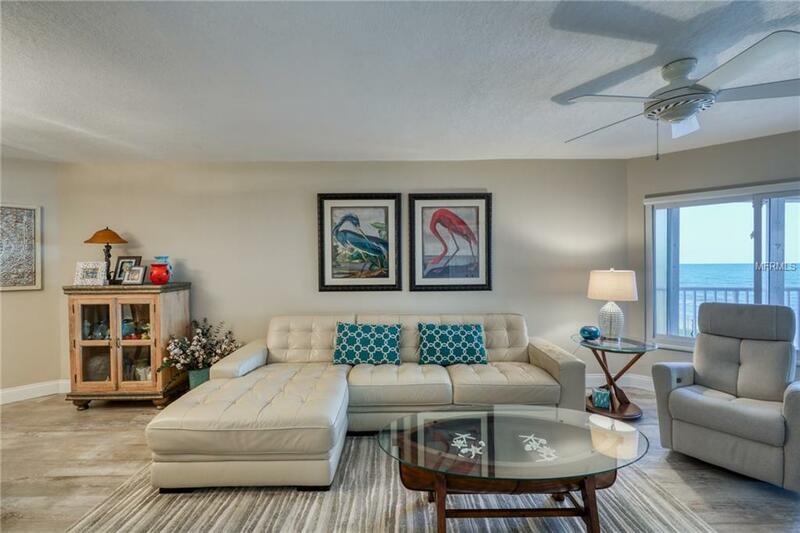 If you're looking for that move-in ready beautiful beach house, this is it! Even the furniture conveys, excluding the two reclining chairs, the wooden glass door cabinet in dining area and personal pictures and pillows. 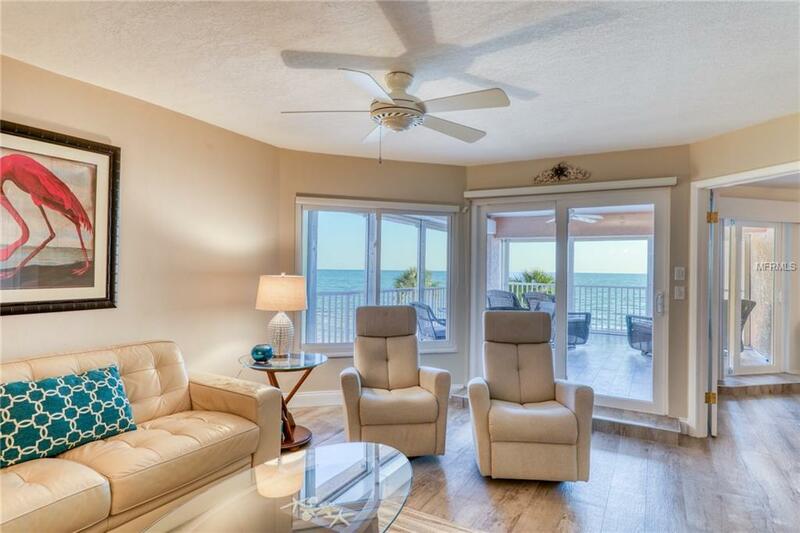 Your master suite and living room both exit to your huge balcony. Which is absolutely amazing, it's tiled with the same ceramic board that's inside your condo. This is what it's all about! Enjoying the breathtaking view from your table and chairs, loungers and big comfy chairs that fit nicely on this balcony. Your laundry room offers full size washer & dryer and storage cabinets. You also get one under building garage parking space and 5 first come, first serve garage spots. Make an appointment to see your new beach home today!! !